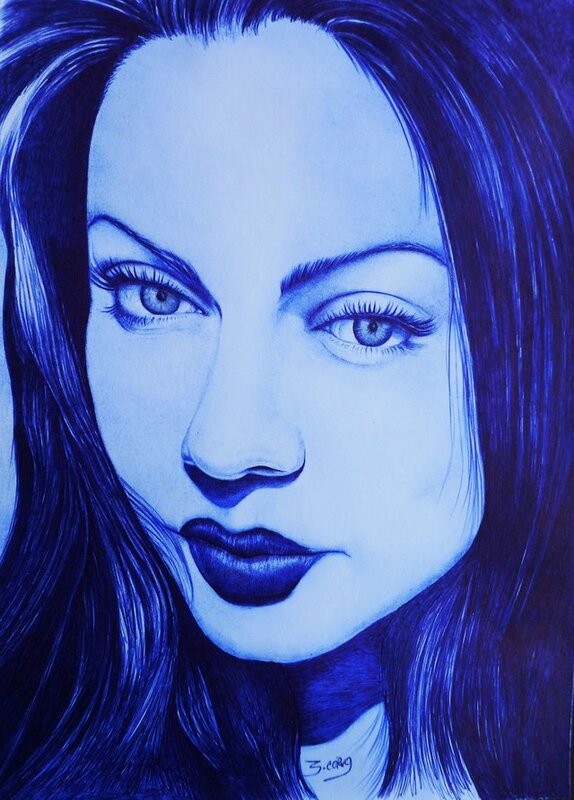 Drawing "Mireya art Mireya" in blue pen. 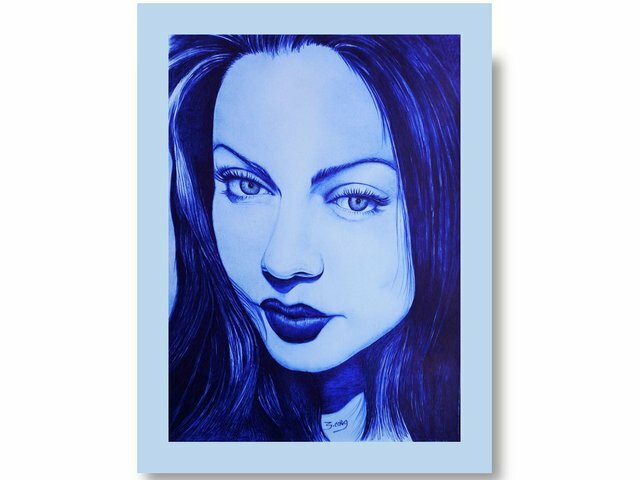 Hello friends of "STEEMIT", a big greeting to the community of "TOPAZ", for the important support to our users, today I present this artistic work, in the blue pen technique, on white and smooth card, with dimensions of 27 cm by 23 cm, in this opportunity I make a portrait of a great visual artist, as is my friend, "Mireya art Mireya", she is well known in social networks for her great works and exhibitions. 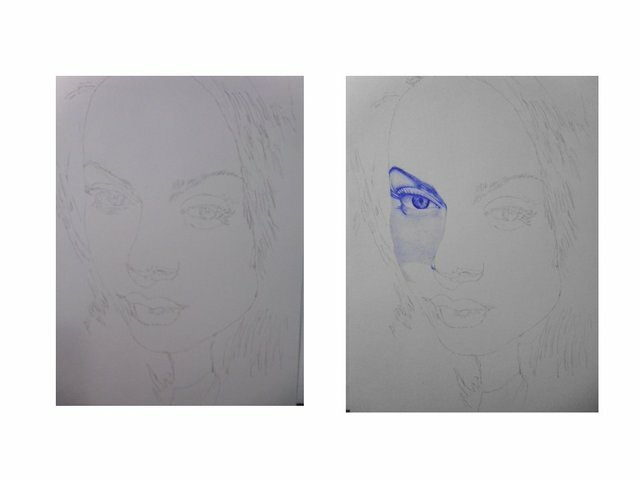 I make the sketch with the graphite pencil with the code "HB-2", and we proceed to give the first layers of ballpoint ink very smoothly.. 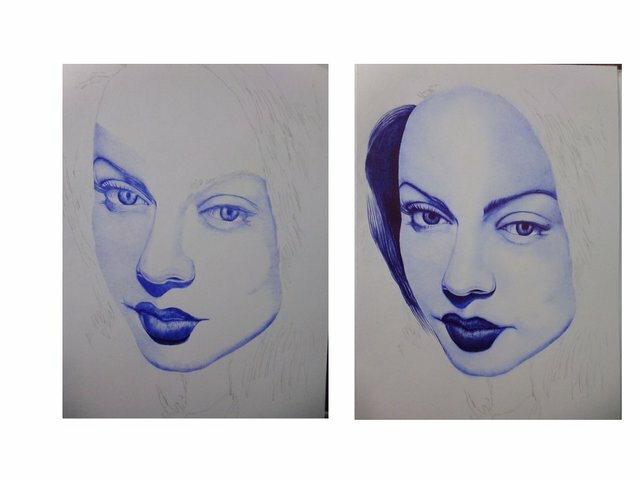 When we work with blue ink ballpoint pen, it is very strong, to texturize the tones, we must have a lot of subtlety in the strokes, it is very similar to the technique of "pointillism", but in this case it is with small and very fine stripes. 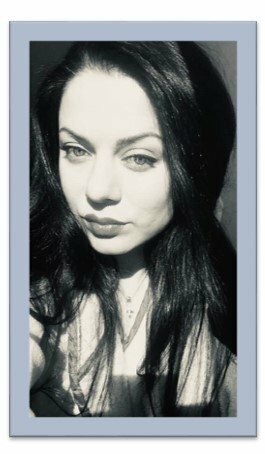 "Mireya art Mireya" is a visual artist, who develops her art mainly in the city of "Brasov" in Romania, her technique is based on mixed arts, with a very original and novel style. 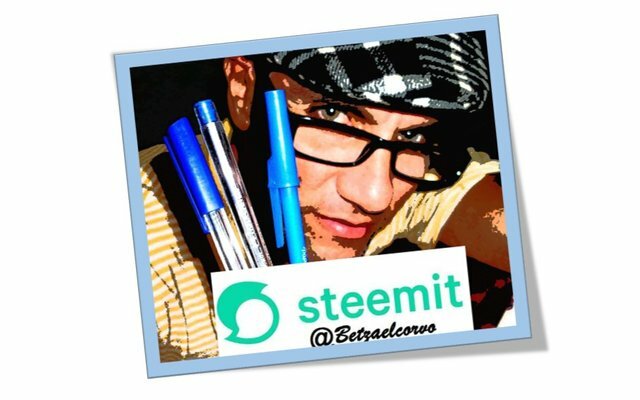 Friends of "STEEMIT", thank you for joining me in this moment dedicated to art, I wish you many successes in your publications and I say goodbye with this thought that helps us move forward. "Knowing is not enough, we must apply. Willing is not enough, one must also do". gracias amigo tu mensaje es muy positivo, saludos y éxitos. As someone with pretty much zero artistic talent, I find it fascinating to watch such a detailed drawing evolve. Very cool and thanks for sharing! thanks friend, with patience and little by little, good results are obtained, sludos. Que hermoso trabajo, @betzaelcorvo. Hermosa imágen y que bien realizada a partir de la referente. Me encantan tus creaciones, eres un gran artista. Te abrazo con cariño!. gracias amiga un gusto ver tu mensaje de apoyo, saludos. thanks friend ortu important support, greetings always.